Lunch is provided. Please bring a picnic blanket (other arrangements are in place in case of inclement weather). For any questions, call 02 9307 8425. This event is now filled to capacity and unfortunately registrations are closed. 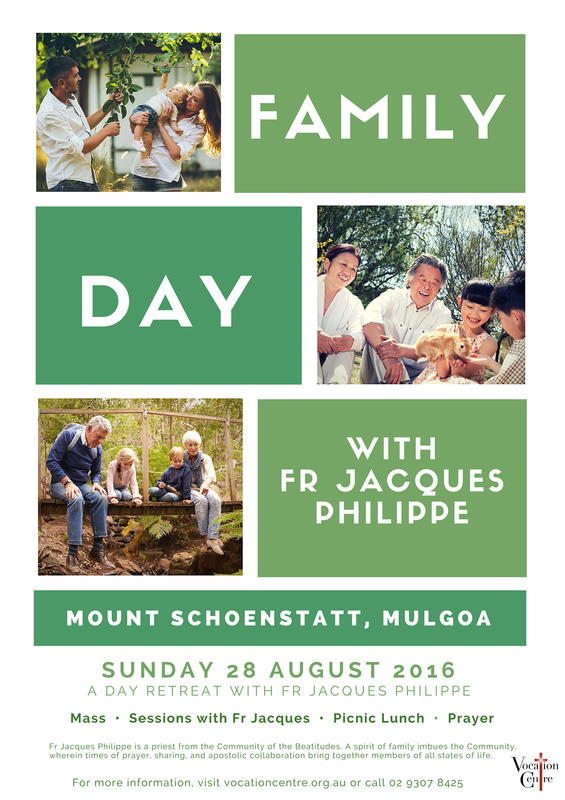 However, we invite you to register for one of the other retreat events with Fr Jacques Philippe at: http://www.vocationcentre.org.au/home/events-news/events/ or call (02) 9307 8425 to register (voicemail registrations cannot be accepted).